Join us for one of our regular Action Days where we clean, weed, plant, paint and more. Welcome to the online home of Wexford Tidy Towns! 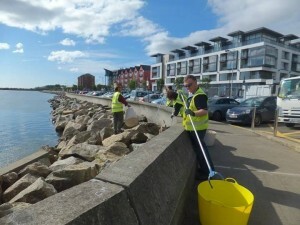 We are a voluntary group working together to ensure that Wexford is always looking its best. The Wexford Tidy Towns Committee has been involved in the Tidy Towns Competition for a number of years. Our primary aim is to make Wexford a cleaner, greener and more attractive town for locals and tourists alike. Wexford also supports a wide range of wildlife habitats and species of local or national conservation interest which is why we are keen to promote biodiversity in our town as part of our efforts. 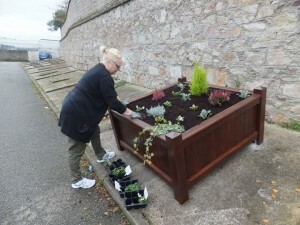 Wexford Tidy Towns is involved with a wide range of projects in the local area that foster a spirit of community pride. We aim to enhance Wexford Town and its environs by making the community aware of what we do and how they can help us improve their own area. We are a group of volunteers and we would love for you to join us. We hold regular cleanups and events and everyone is welcome, we appreciate any help and support that you can give us. Thank you for stopping by, have a look around and learn more about what we get up to on a regular basis! We were delighted to win silver in the recent Tidy Town awards. Thanks to everyone who helped us achieve this. We regularly hold Action Days where we do gardening, painting and cleaning. We also organise events and programs to raise environmental awareness. Learn how you can help our bees. Check out the latest news here. Explore our website, join us on Facebook or Twitter to keep up with the latest developments and upcoming events. Upcoming events will be announced here and on our Facebook page. 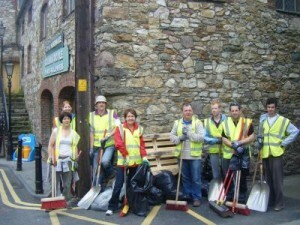 Wexford Tidy Towns needs you! Join us and help to further enhance Wexford's reputation as one of the most attractive and vibrant towns in the southeast. In the process you will have the satisfaction of knowing that Wexford looks so good because of the effort you, and others like you, have made. You will also be helping to continue Wexford's upwards trajectory in the annual National Tidy Towns competition. Learn more about future cleanups we have planned and how you can play an important role. We would love to hear from you so please contact us. Our aim is to foster a spirit of community pride in our town and it's appearance. We do this by organising community based activities working with local schools and by encouraging and helping local groups take pride in their area. Apart from general litter collection, we clean signage, paint railings and walls, and plant and maintain flower beds. We are especially supportive of local groups intent on keeping their estates and surroundings clean and attractive. We also have a high-powered biodiversity committee who are active in "greening" Wexford.